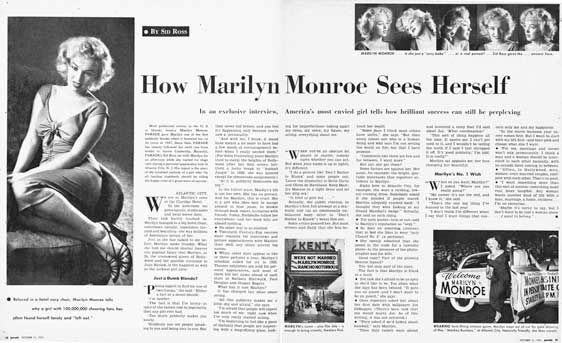 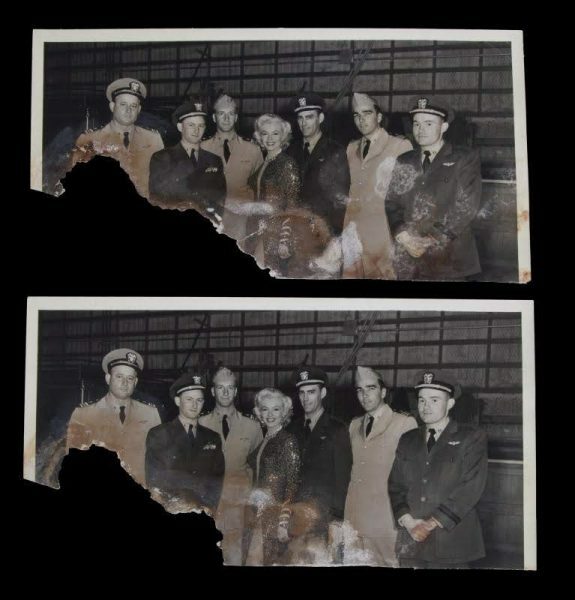 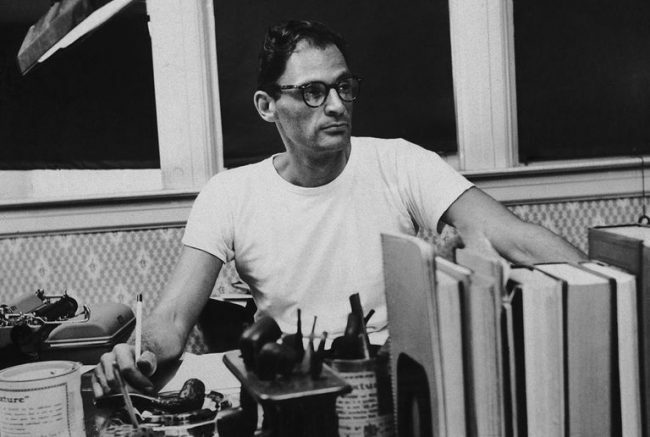 In an article for the New York Times, Jennifer Schluesser reports on the dispute over Arthur Miller’s unseen archives, and sheds new light on his reaction to Marilyn’s death – including his decision not to attend her funeral. 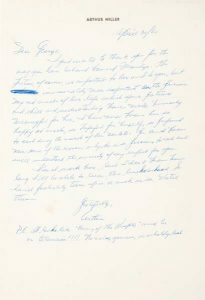 “More than 160 boxes of his manuscripts and other papers have been on deposit for decades at the Harry Ransom Center at the University of Texas at Austin, uncataloged and all but inaccessible to scholars, pending a formal sale. 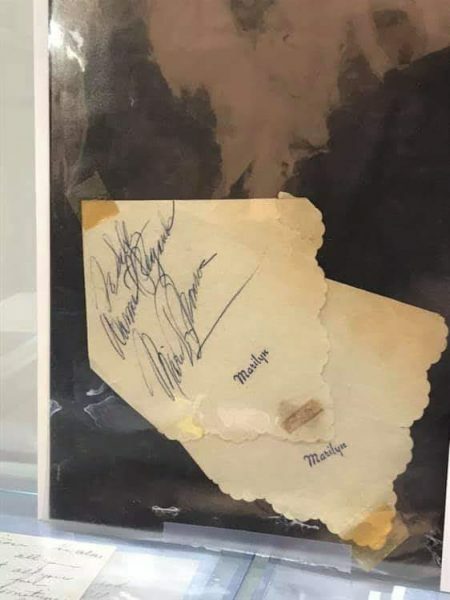 Another cache — including some 8,000 pages of private journals — remained at his home in rural Connecticut, unexplored by anyone outside the intimate Miller circle. 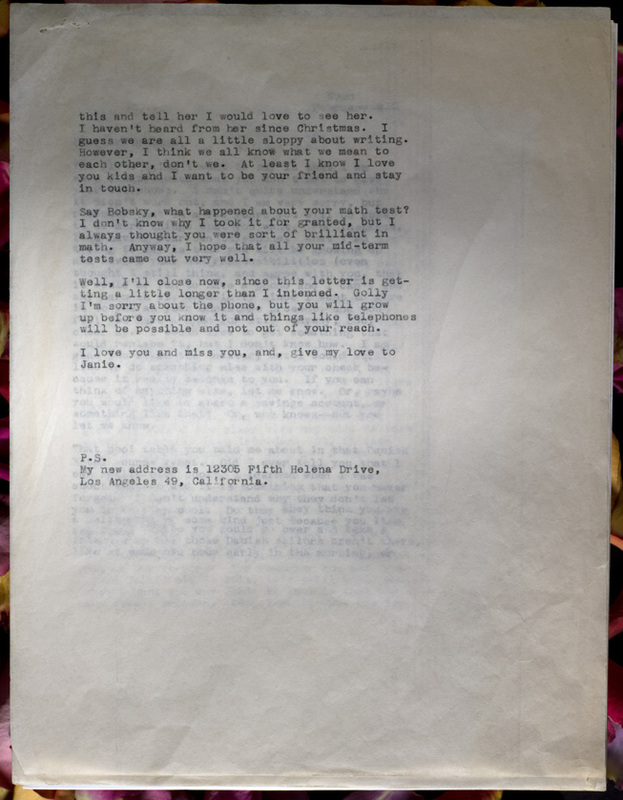 Now, the Ransom Center has bought the entire archive for $2.7 million, following a discreet tug-of-war with the Miller estate, which tried to place the papers at Yale University despite the playwright’s apparent wishes that they rest in Texas. 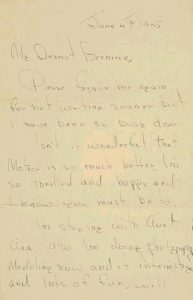 Those journals are closed to researchers until after publication of that volume, by Penguin Press. 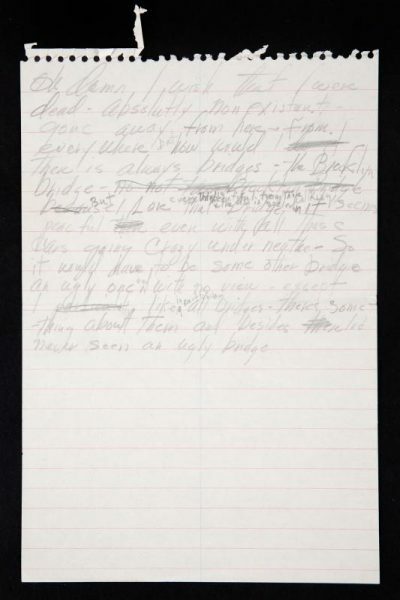 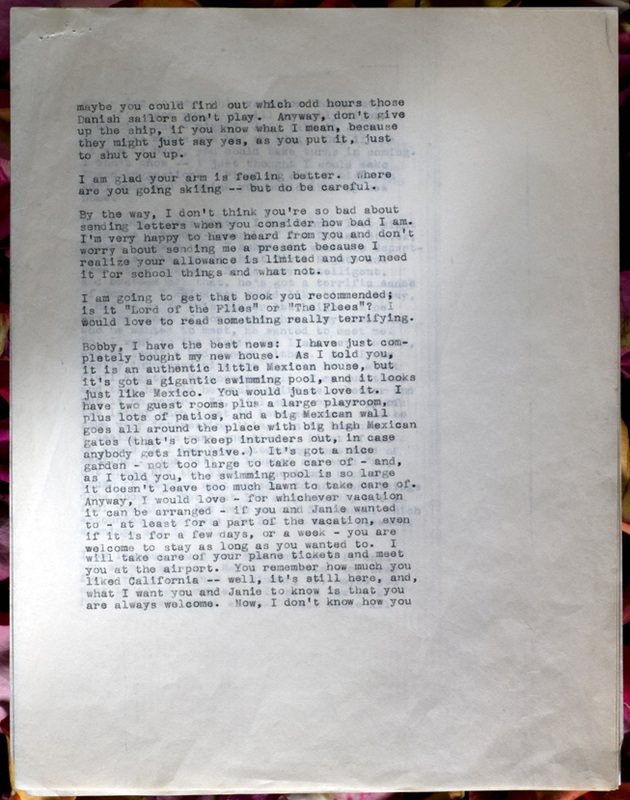 An inventory of the archive notes journal entries relating to Monroe. 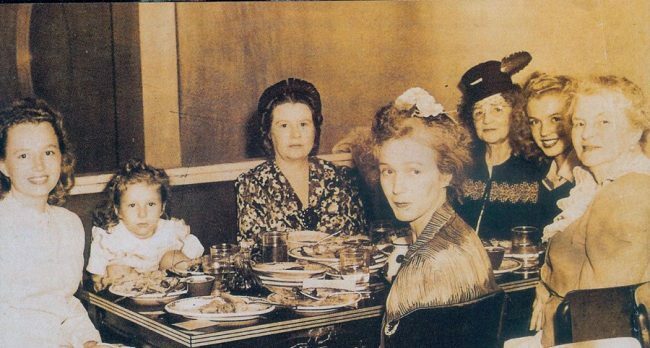 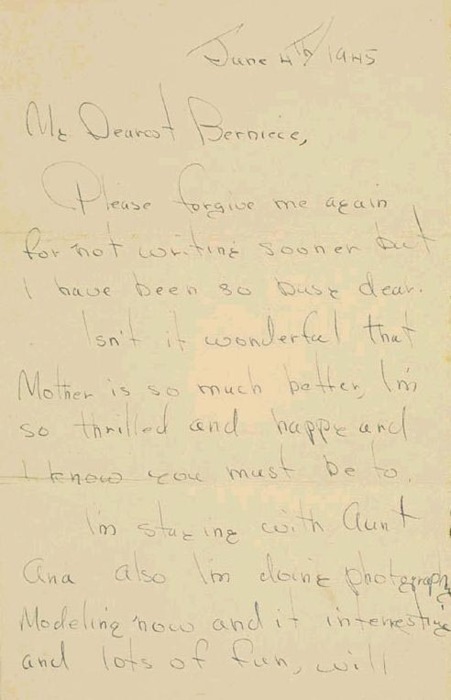 But it does not list any personal correspondence between her and Miller, the survival of which has been the subject of speculation over the years. 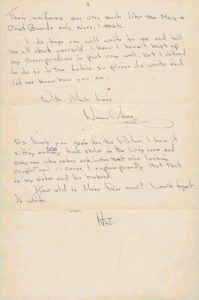 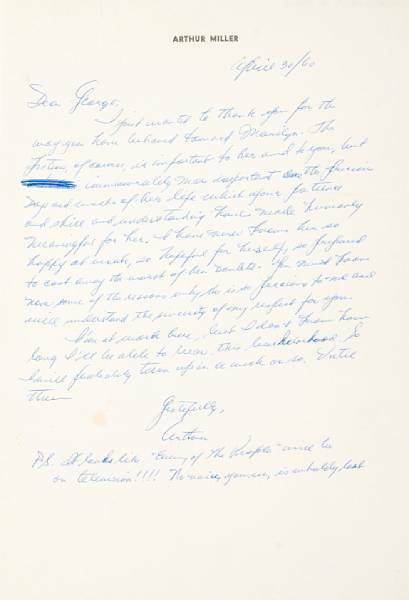 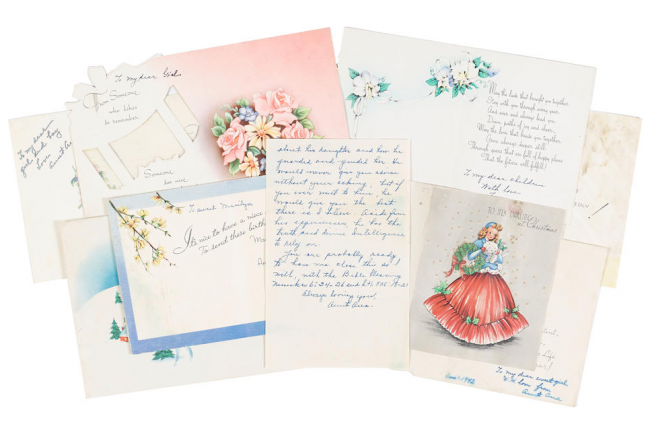 In a 2002 article in Talk Magazine, Andreas Brown, the dealer who arranged the earlier deposits to the Ransom Center, described coming across an odd bundle, which Miller told him held nearly 100 letters from Monroe. 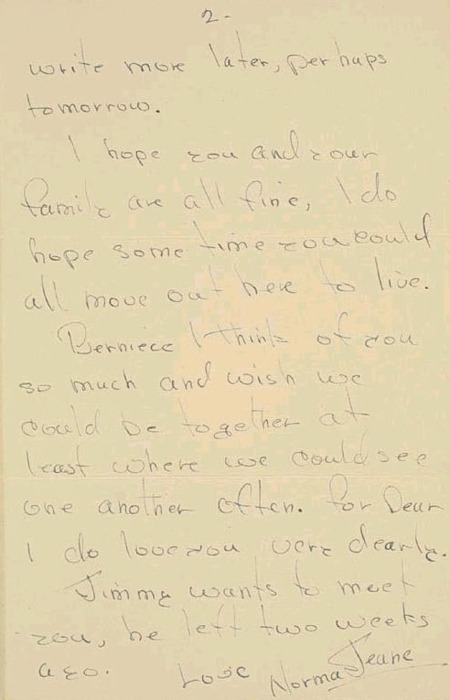 ‘It was all sealed and tied-up,’ Mr. Brown, who is now retired, recalled in a recent interview. 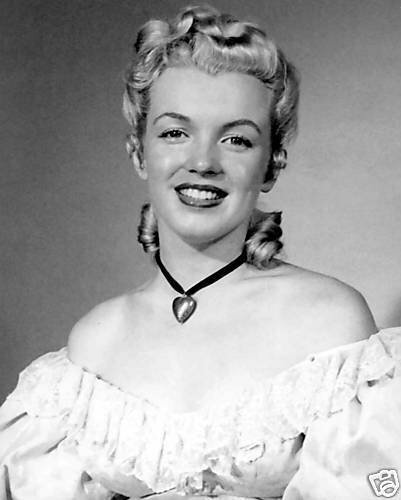 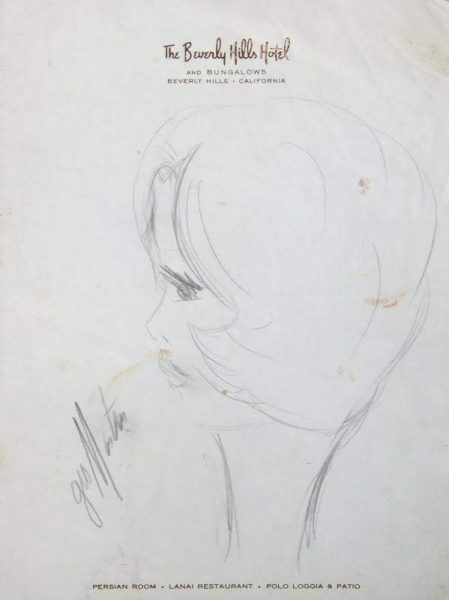 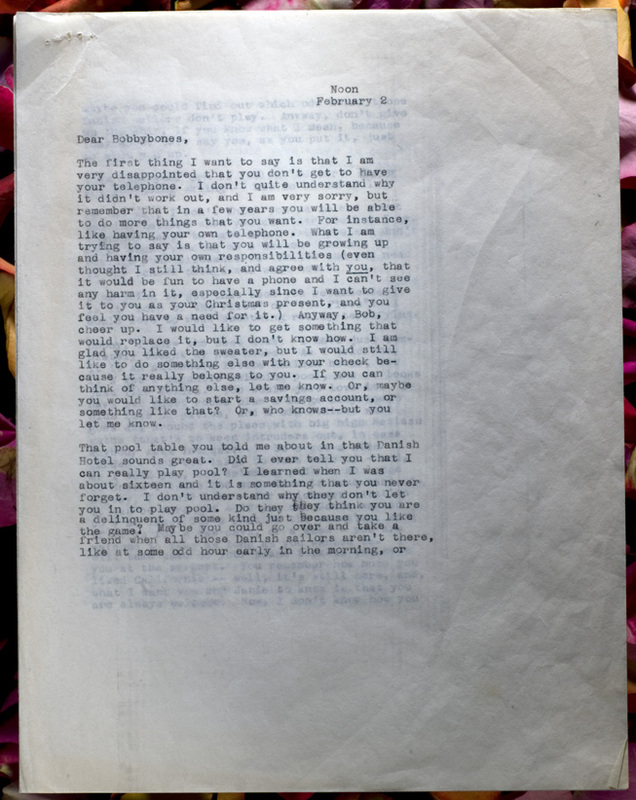 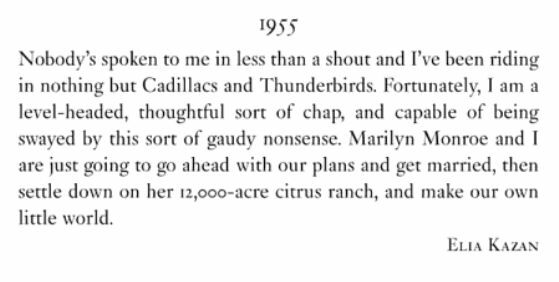 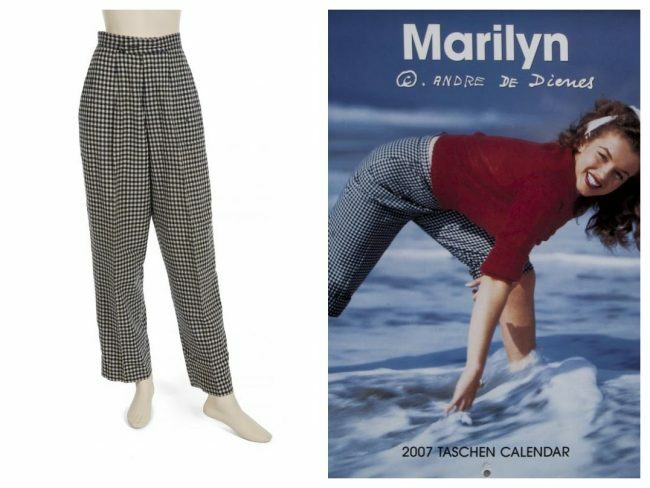 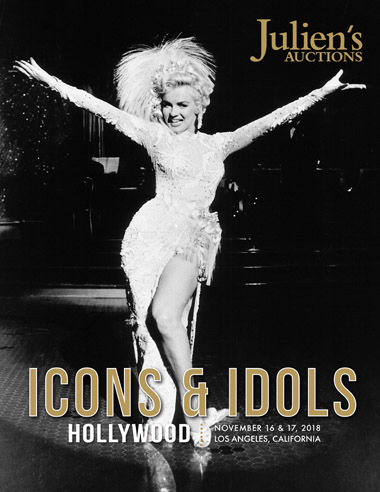 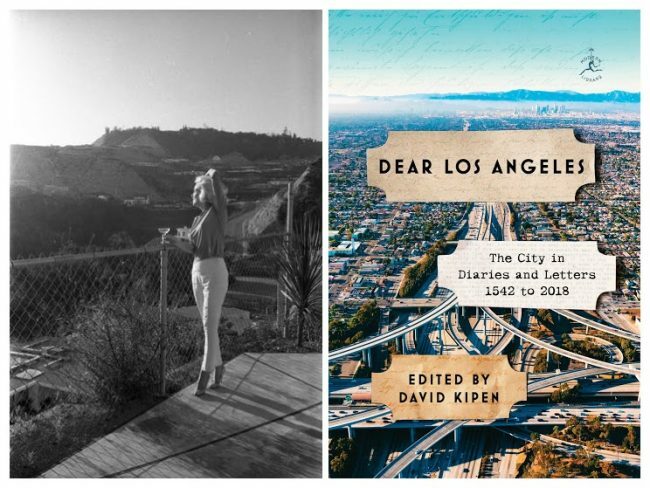 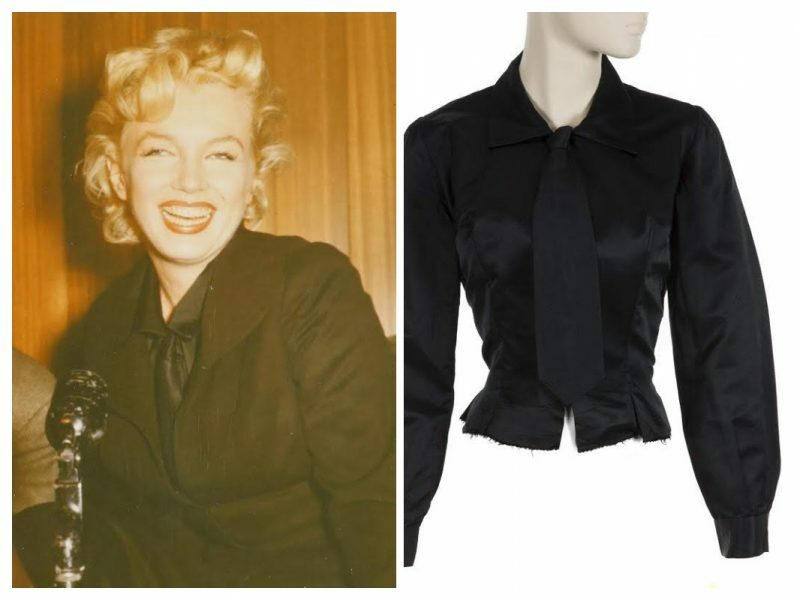 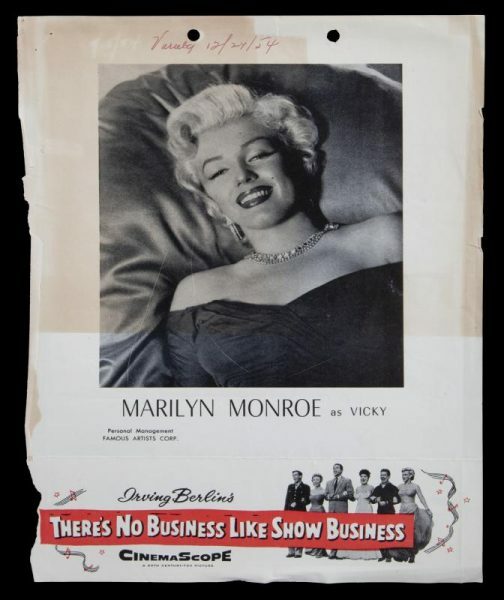 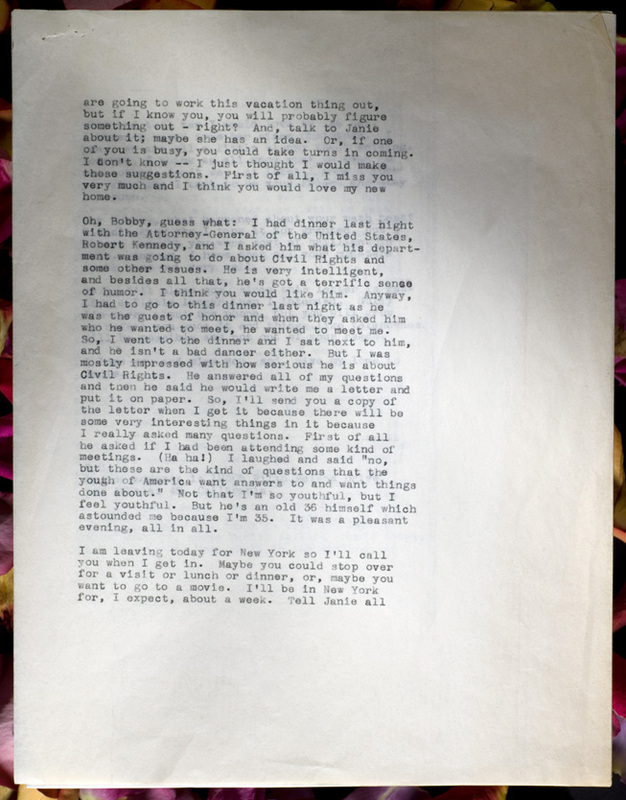 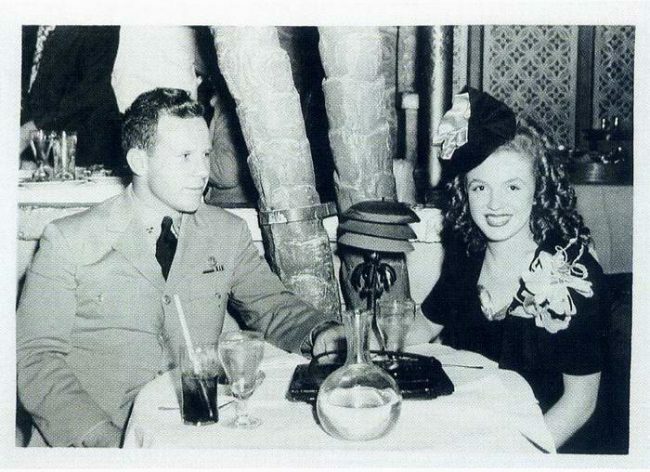 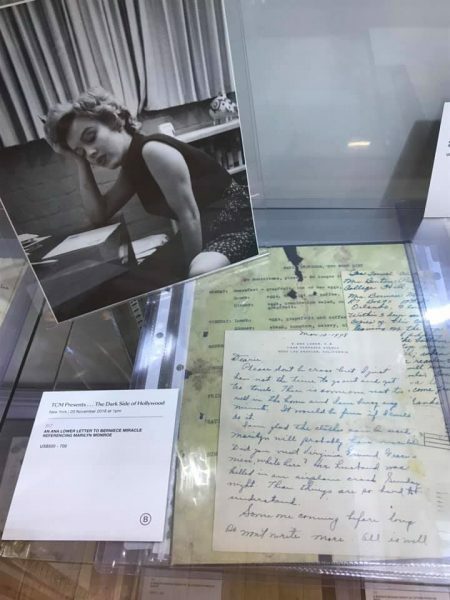 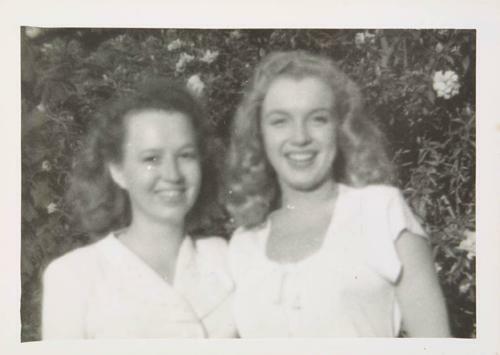 Miller’s memoir, Timebends, refers to correspondence with Monroe, and one of his passionate love letters to her fetched $43,750 at auction in Beverly Hills in 2014. 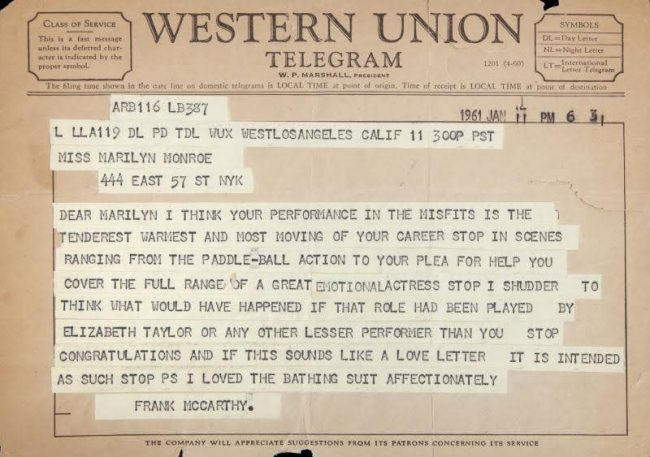 ‘It was a really over-the-top Tom Cruise, jump-on-the-couch-kind of letter,’ Christopher Bigsby said. 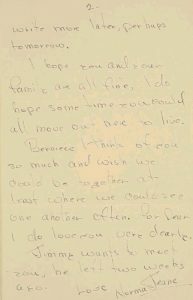 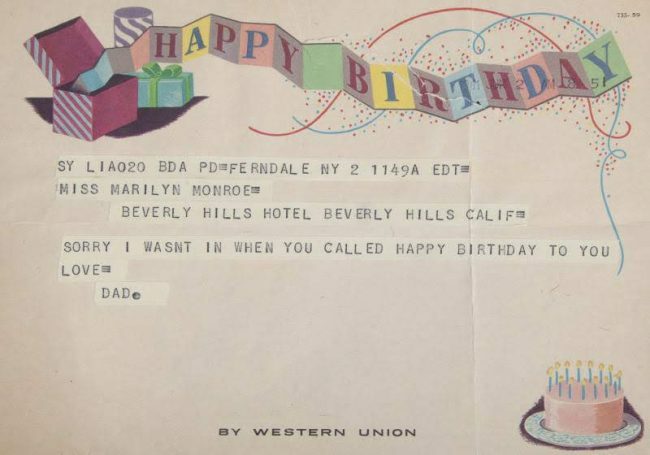 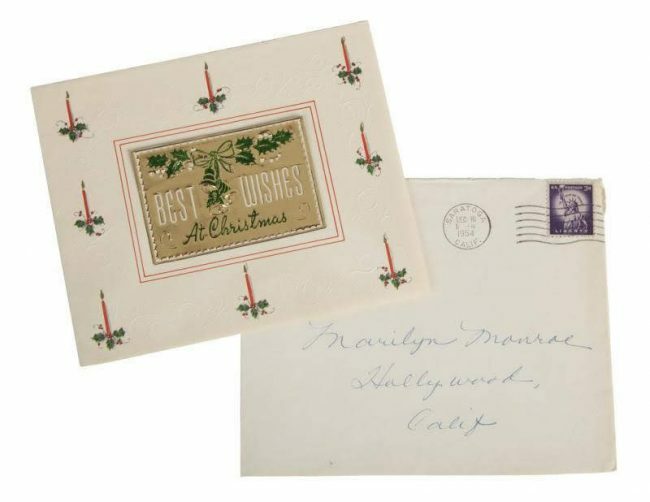 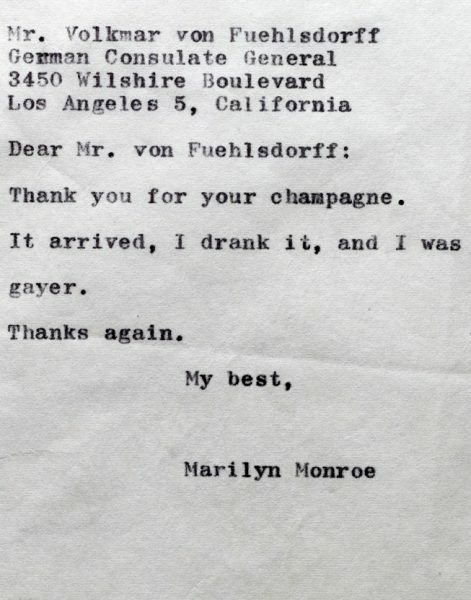 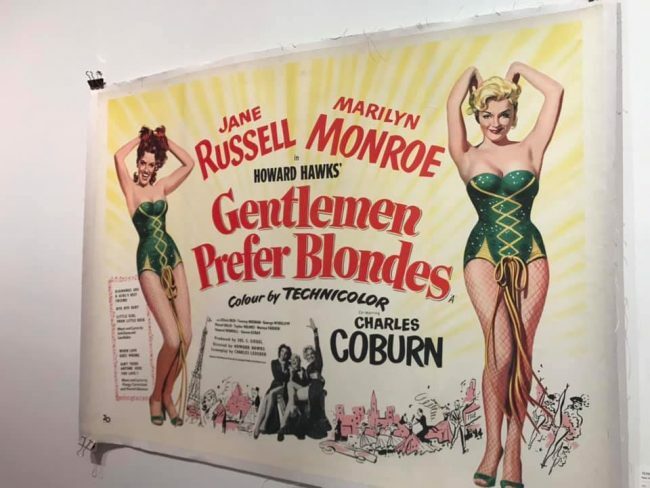 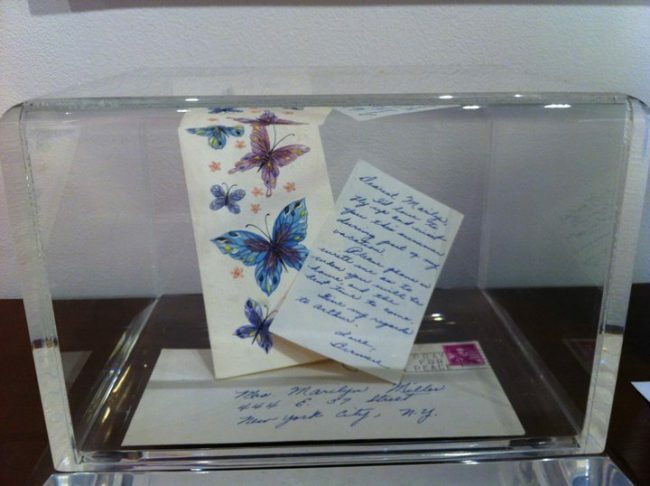 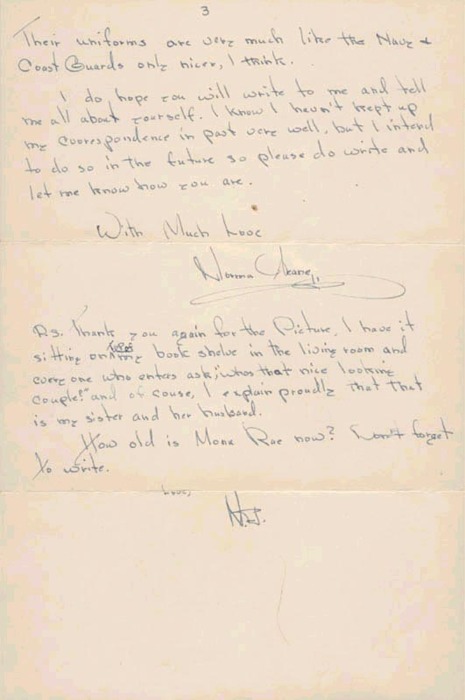 This letter, sent by Berniece Baker Miracle on her half-sister’s 33rd birthday, is included in the ‘Happy Birthday Marilyn’ exhibit at the Andrew Weiss Gallery in Los Angeles.